Using essential oils for ADHD is an excellent way to naturally calm the mind, re-focus and temporarily reduce ADHD symptoms. Why use essential oils to treat ADHD symptoms? Essential oils are concentrated extracts that come from plant leaves, roots, flowers and stems. And, you probably already understand why certain smells can have a powerful effect on the human brain. Just think about how your mood instantly changes when you bake a batch of chocolate chip cookies, walk into an Italian restaurant, or pop open a bottle of wine. The smells that you encounter in your everyday life have a massive impact on how you think, feel and live your life. So, it shouldn’t come as a huge surprise that certain scents can help ADHD sufferers more than others. Essential oils ultimately influence your limbic system. Your limbic system is part of your “reptilian brain”, which is primarily responsible for your emotional life. And, most decisions that humans make rely on emotions. In other words, essential oils can be spectacularly useful to both children and adults with ADHD for dealing with all aspects of life. I use essential oils topically and aromatically. This means that I apply essential oils directly to my skin (after diluting the oil). And, I also enjoy the aromas of essential oils by using an essential oil diffuser (Amazon) (this is considered aromatherapy). If you’ve used perfume or cologne before, then you’ve probably also used essential oils as well. Most fragrances contain floral, woodsy or citrus scents that many people are familiar with. In the case of using essential oils to improve your ADHD symptoms – there are certain essential oils that are proven to help you relax, improve focus, and accomplish your goals. It’s important for you to experiment with using different ADHD essential oils, as some oils may work better for you than others. Everyone with ADHD is unique. Vetiver essential oil (Amazon) produces a strong earthy or woody aroma that helps people temporarily reduce anxiety symptoms, improve cognitive performance, and enter a state of “relaxed” consciousness. 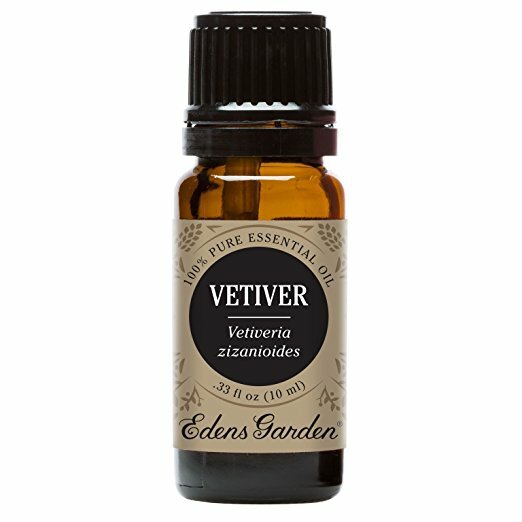 Edens Garden claims that vetiver’s aroma is “woody, smoky and musky”. Now, that might not sound too appealing to most people. But, a 2001 study conducted by Dr. Terry S. Friedmann found that vetiver essential oil improved ADHD symptoms in 100% of the ADHD children who were sampled. This suggests that vetiver essential oil may be the best essential oil for improving ADHD symptoms in children. Cedarwood essential oil (Amazon) has a stimulating, woodsy and spicy scent that’s often considered to be an aphrodisiac. While many would consider cedarwood essential oil to have an “uplifting” effect, it’s also very soothing at the same time. I recommend that you use this essential oil to fall asleep, or to greatly enhance the aroma of your living room, bedroom or bathroom. Lavender essential oil (Amazon) is one of the most well-known essential oils because of its tranquilizing and sedating effects. This same lavender essential oil formula has been used around the world for centuries. So, you can trust that this is an essential oil that’s proven to induce sleep, limit ADHD racing thoughts, and even decrease some anxiety symptoms. You can use lavender essential oil during a hot bath, or enjoy it bedside by using a diffuser. Either way, this oil is best used anytime you need to de-stress, or temporarily quiet your mind. Frankincense essential oil (Amazon) is one of the most useful ADHD essential oils available. That’s because frankincense is commonly used to relax the lungs, decrease congestion and provide excellent respiratory relief. As you may know, how well you breathe plays a major role in your overall quality of life. I spent years of my life not knowing how to breathe properly. This probably contributed to my ADHD symptoms further down the road. But, using an essential oil like frankincense can help you tremendously while meditating, exercising, partaking in yoga sessions, or simply watching TV. By using this essential oil, you’ll most likely find it easier to breathe, which can lead to a temporary improvement in your level of attention, mental clarity and level of happiness. Blood orange essential oil (Amazon) is a bright and fruity essential oil that can instantly boost your mood, and help fight symptoms related to ADHD and anxiety. 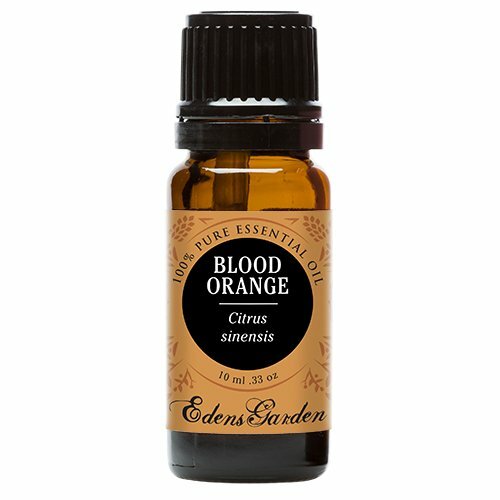 Blood orange essential oil ultimately smells like fresh, ripe citrus. It’s clean, bright and uplifting. This is an essential oil that immediately brings out positive emotions and reminds you of summer. This is a great essential oil for any child or adult who experiences anxious thoughts, pain body attacks, or heightened tension. Blood orange essential oil is packed with therapeutic qualities, so this is an excellent all-encompassing oil for temporarily relieving ADHD symptoms. If you want to apply essential oils to your skin (using your oils topically), then you’ll need to know how to dilute your essential oils. This is a basic safety precaution that allows you to protect your skin, while also making your essential oils last a lot longer. Diluting your essential oils is a win-win situation for you. You will need a good carrier oil to dilute your essential oils. There are a variety of carrier oils that range from sunflower oil, to jojoba oil, to grapeseed oil and many others. I typically use extra virgin olive oil (Amazon) to dilute my essential oils, because I almost always have olive oil at my house. It’s probably the most convenient carrier oil that you can use. 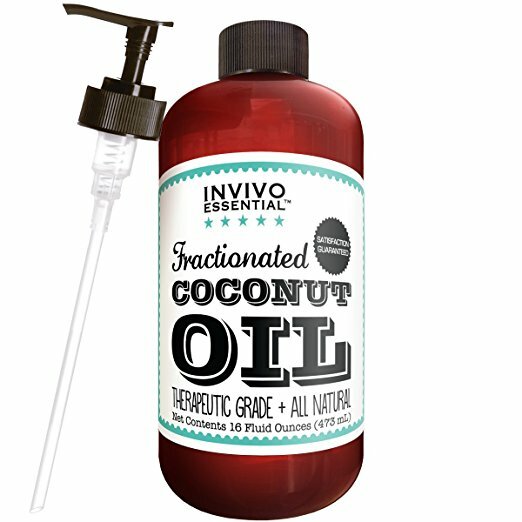 Fractionated coconut oil (Amazon) is another good carrier oil, because fractionated coconut oil arrives in a nice liquid state, and isn’t chunky like raw coconut oil. When it comes to actually diluting your essential oils, I recommend following this beautiful dilution guide from Rocky Mountain Oils. This is the most clear-cut and easy-to-read dilution chart that I’ve been able to find on the internet. Diluting your essential oils is as simple as adding your essential oil to a few teaspoons of carrier oil. That’s all it takes to achieve quick and easy relief from ADHD symptoms for at least a few hours. Note: If you need to dilute your essential oils to use in an essential oil diffuser (aromatherapy), then you’ll typically just need to fill your diffuser’s resevoir full of water, and mix in a few drops of essential oil. Carrier oils aren’t necessary when it comes to aromatherapy – unless you want to make your own blends. Another note: I’ve recently discovered that you can use tea tree essential oil without having to dilute it (unlike most essential oils). However, if you have sensitive skin, then you may still want to dilute tea tree oil at first, and patch test it on your skin. Tea tree oil is also loaded with health benefits for people with ADHD, so it’s another excellent essential oil to try. This article wouldn’t be complete without a small warning about purchasing essential oils from multi-level marketing (MLM) companies. If you’re familiar with essential oils, then you most likely discovered them (at least in part) through a multi-level marketing (MLM) company. Companies that promote essential oils through MLM schemes are usually pretty easy to recognize, because their products are generally exorbitantly overpriced. There have been many news articles published about the combination of essential oils and multi-level marketing, and public warnings about purchasing essential oils from MLM companies. Please exercise extreme caution if you decide to purchase anything (especially essential oils) through MLM schemes. I personally recommend avoiding MLM organizations at all costs. But, I don’t like to tell others what to do! So anyway – all of the essential oils that I linked to in this article are from Edens Garden on Amazon.com. Edens Garden provides top-quality, therapeutic grade essential oils at a minimum price point. Yes, I may receive a small commission if you purchase any of the essential oils linked to in this article. But, the potential commission that I receive will come at no additional cost to you. And, I’ve also done my best to set you up with the very best essential oils for the best prices possible. If you don’t like the essential oils that I linked to in this article, no worries. You can always swing by your local Whole Foods or health food store, and see if they carry essential oils as well. Overall, I hope that this article helps you discover the best essential oils for your family’s health and wellness. Many people overlook the importance of scents. But, the everyday scents that we pick up on have a major impact on our quality of life. This goes for both children and adults. So, by using the 5 essential oils for ADHD listed in this article, you will be equipped with a variety of tools that help you improve focus, calm the mind, and temporarily improve ADHD symptoms on demand. I am on medication for A.D.D. and I am 65 years old. Have had issues my entire life. My friends say I”m much easier to be around since I started medication in Dec. I would like to eventually replace the meds with oils and I am a YL distributor. I now work from home as a graphic designer and focus is an issue at times. Thanks for publishing this. I will use this information. Try them in the diffuser Ed! You can look up a quick YouTube video for help if you like (or I’ll add a video to this article). You can try one oil at a time at first, and then combine them later if you like. Thanks Michelle I may update this article with instructions on how to use essential oils as well! It is my experience when I use the lesser expensive oils I have to use more of them to get the benefit. I have tested some of the lesser expensive ones with one of the MLM oils and yes there is a huge difference. I use less and get more immediate results. It’s a win and my family’s health is worth the $ it cost. Not all essential oils are equal. Great point Donna. Thanks for commenting. How do you use each of these oils? Do you mix them and use them together? Separate? Diffuse them? Place them on your body? I have each of these and REALLY want to help my 16 year old son who FINALLY just opened up to me about how he has been struggling in his mind. I have read so many of your blog posts and they have helped me understand him more already so I thank you tremendously. His impulsiveness is so strong. He has a brilliant mind but his impulses get him in so much trouble. His impulses include anger issues. Any advice on what to start him on and things to tell him? Also I want to know what you think of copaiba oil and if you have tried it. I have heard that it is as beneficial as cbd oil. Very interesting Anne I hadn’t heard of that one. I’ll make sure to research it . Thank you so much for your amazing comment Anne. I recommend a quality therapist for your son’s anger issues and impulse management. Directing those impulses towards a positive outcome is so important. As for the essential oils, I personally diffuse them, yes. I have found that my FAVORITE and AMAZING oil blend I used is “stress away” by young living. I have used it for years and it helps more than my meds with my anxiety. For individual oils, I mostly go to my natural foods coop and buy Veridas by Pranarom (mostly when it goes on sale). Choosing an essential oil company should not be based on whether or not you understand or agree with a business structure, but based on testing. Check out a resource like holisticessentials, essential oil university (FB is more consumer friendly or you can go to essentialoils.org), or another company that actually TESTS samples for your information. There are MANY brands of EO out there who claim they are selling pure this or that when it’s actually something else with a different therapeutic purpose (like Amazon’s NATRÄL brand, recently, it was discovered that their 100% Lavender was actually Lavadin which smells different, but isn’t the same). Thanks for the well-informed post Kate. I appreciate your informative post. I get a lot of outraged MLM people who comment on this article, and I usually end up deleting them, and yours is the first I’ve approved. I will look into the MLM essential oil thing once again. Would you mind emailing me and we can talk?